There are a few things that all college students need to reach academic success: the library is one of these things. If you’re fortunate enough to attend a university with a comprehensive library on campus, you should make use of such a building, for decent college libraries are not always easy to find. 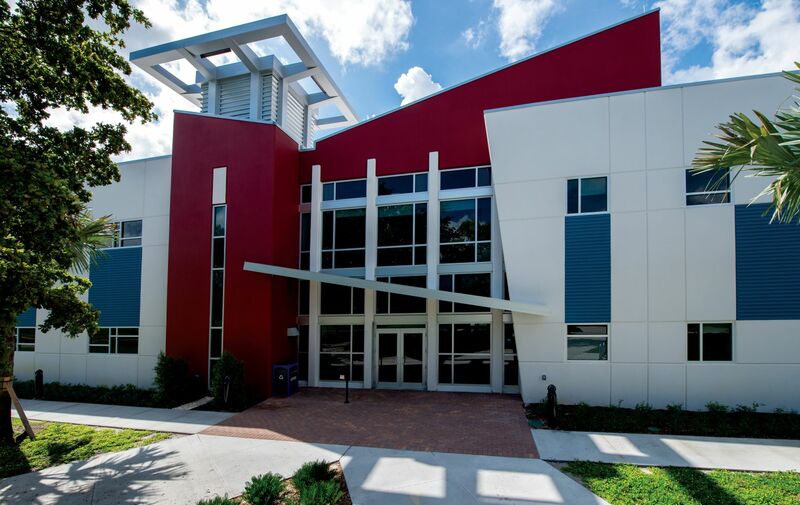 Students at Broward College know the importance of academic success, and that’s why most of them spend hours and hours in the libraries affiliated with the school. Here’s some information about these libraries and resources they offer students! There are multiple unisex bathrooms and traditional bathrooms located in every one of the libraries on and around this university’s campus. Students of all genders are able to come here and confidently use the bathroom without fear or ridicule. If your professor assigns a last minute reading that needs to be copied, what are you going to do? The best thing would be to visit a copy station at this library. Copying on your own becomes expensive fast, and therefore you need to take advantage of this free alternative. Those students and faculty who require special ways to access buildings will not find any trouble at this university. Wheelchair ramps and reliable elevators can be found in every library, which means they truly are made for everyone. An unresponsive computer could spell disaster for a project or assignment. Many students on campus have tech-related problems that they cannot fix themselves, which is why the university staffs all of its libraries with experienced IT people who will likely have your computer up and running quickly. If there’s something very wrong with your machine, you may have to seek outside help. Printing, like copying, can get expensive fast, which is why you should take advantage of every available opportunity to print for free. At any of the libraries on this campus, you can do just that! Staying up-to-date with your news your thing? Want to deepen your perspectives with a plurality of publications? These libraries are usually stocked with all the black-ink stories you need to keep yourself informed. Need help finding a book? Need a reference for a class that you can’t find on your own? Ask one of the librarians here for assistance—they’re always more than willing to help anyone who needs it! You’d be surprised at how expansive the collection is here, but don’t let this overwhelm you. Attending a school where the library is first-rate is something that not everyone gets to do; enjoy the time while it lasts! Perhaps you need a private room to do a group assignment. If so, then you will most likely be able to book one for whenever you want at any of the libraries here. These rooms can for the most part be booked for multiple hours, but outside circumstances may cause this to not be the case sometimes. Are traditional resources and databases just not cutting it? Try Google Scholar. Most teachers assign scholarly readings in class, and they as well expect these to be referenced on most of your assignments. Google Scholar is a great place to get supplementary scholarly readings. You can bet that a spot will always be open for you at this library. If you need some space to study for an upcoming midterm of final, this is a great place to come study. If you’re interested in older documents, this is the place you should visit. You never know what you might uncover with some good research. Also, the librarians here are very pleasant, which is always nice if you’re new to the library. There’s no better place to study than this library. If you want a peaceful environment with nearby attendants ready to help you with whatever question you may have, you should come here. This library’s expansive collections and offset study rooms are what make this building so popular. Students and faculty come here for a plurality of purposes each day, which means it’s likely you’ll see someone you know. Like most public libraries, this one offers a decent selection of books and references. If you’re looking to do some studying in an off-campus setting, this is the place you should go to. It’s pretty close to the main campus too! With the information you now have from this list, you’ll be able to confidently enter any of the libraries affiliated with this school and know exactly what to expect. Take advantage of such wonderful libraries while you go to school here!